Order your starter kit and choose a refill frequency. Shipping is FREE, every time. 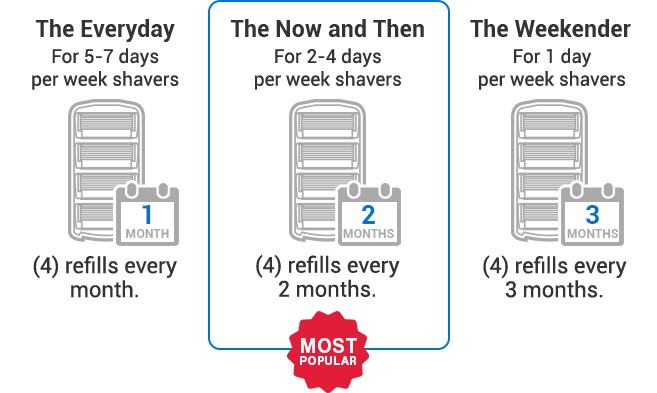 Receive fresh Barbasol Ultra 6 Plus blade refills auto-delivered straight to your door at just $9.99 per shipment. Too many refills or not enough? Easily change or cancel your plan at any time.